Usually found with a solitary trunk but also commonly found with multi trunks. Spines on the trunk are a defense system in habitat and can be eight inches long. 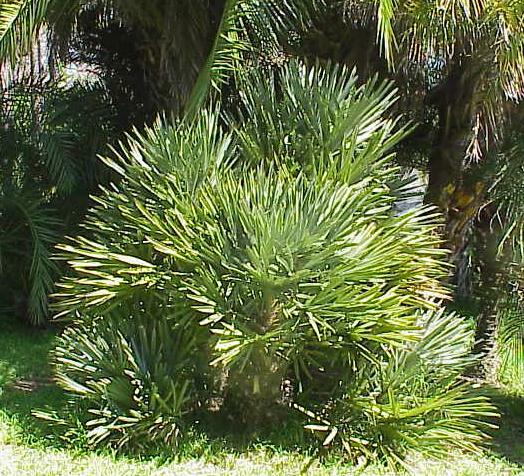 Has very stiff leaves which could almost be used as a weapon. 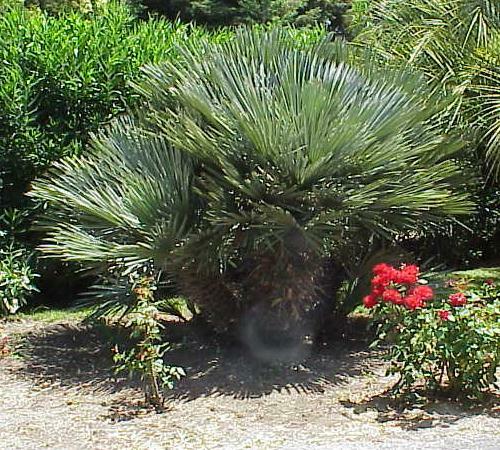 This palm will tolerate blazing hot weather as well as cold with heavy frosts and strong winds. Very attractive and very desirable by the most discerning collector or gardener. With a maximum height of only 12 feet tall, this would appropriate for even the smallest gardens. Good drainage is a must for this one. Very drought tolerant when established but responds well to regular watering. Bright shade is recommended for trees when young. The fruit may turn a buff yellow when ripe. The fruit is juicy and succulent, having a sweet taste, but is followed by an astringent taste that stays with you like a green persimion. The seeds mature hard and loose inside the exocarp. 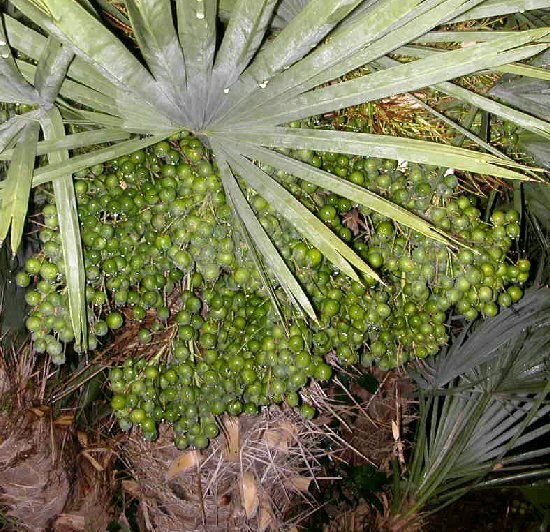 It's difficult to get the seeds through the winter as the plant blooms in mid to late October and must carry the small, maturing fruit through winter and then the following year. Various growers have had difficulty germinating the seeds. Trithrinax flower has 3 free carpels, 3 sepals, 3 petals and 6 stamens. Transplants easily.